Candice Averett and her then three-week-old daughter Elessandra Averett at their home in Dexter on Jan. 31, 2017. They’re called baby “boxinettes.” It has the same functionality as bassinet with a cardboard exterior, a fitted mattress, sturdy handles and even a cool animal print design on the outside. But unlike traditional cribs and pack ‘n plays that are bulky and take up space, the boxinette is smaller and easily accessible. Averett said its convenience factor is an added bonus especially at night. It’s different with Elessandra. She sleeps comfortably in her boxinette right next to her parents bed. However, these boxinettes aren’t some new eco-friendly hipster trend for newborns. 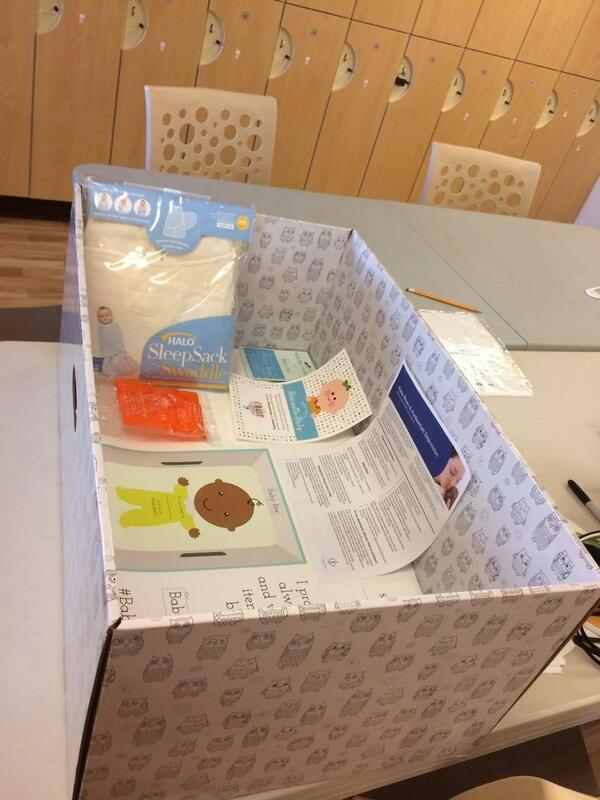 It’s actually part of the “Safe Sleep Baby Boxinette” initiative aiming to lower the high infant mortality rate in Missouri’s Bootheel. “What we know about infant mortality is that it is multifaceted and education, education, education is the biggest part of that,” said Dr. Karlyle Christian-Ritter, the director of the Neonatal Intensive Care Unit at Saint Francis Medical Center. Roughly 10 out of every 1,000 babies born in the Bootheel won’t live to see their first birthday. That’s significantly higher than both the state and national average. But for African American babies the infant mortality rate surpasses that of the Bootheel. According to the Missouri Department of Health and Senior Services, 14 out of every 1,000 African American babies will die before their first year of life. Christian-Ritter said one of the culprits behind the region’s high infant mortality rate is unsafe sleeping habits. Most of the time it’s unintentional when parents doze off with their babies in bed. But within a matter of minutes it can lead to sometimes fatal consequences like suffocation. 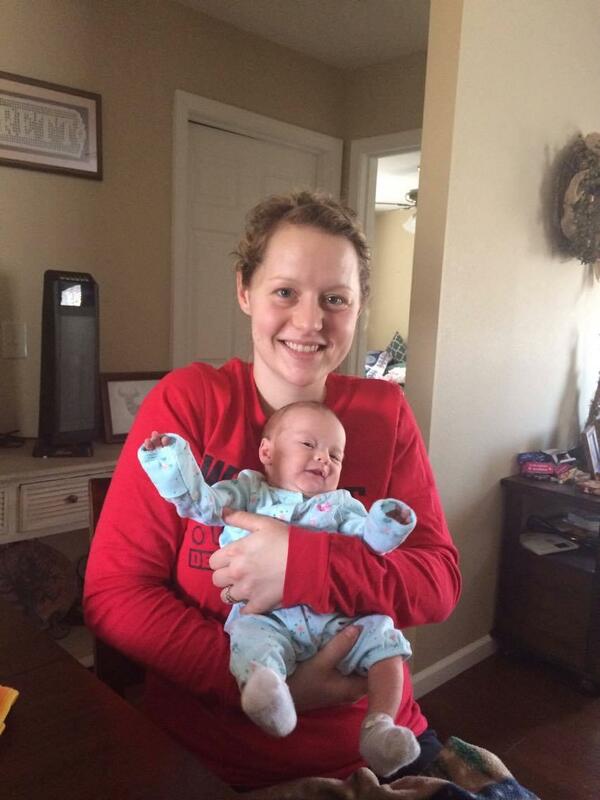 Not every baby makes it, but if they do Christian-Ritter said they’re left with severe brain damage. This is a trend she hopes to see less of with the help of the grant funded baby boxinette initiative from the Missouri Foundation for Health. Earlier this year Missouri Delta Medical Center in Sikeston, Twin Rivers Medical Center in Kennett and Saint Francis Medical Center in Cape Girardeau teamed up with Bootheel Babies and Families to supply 750 free boxinettes to mothers of newborns, like Averett, living in the six bootheel counties. 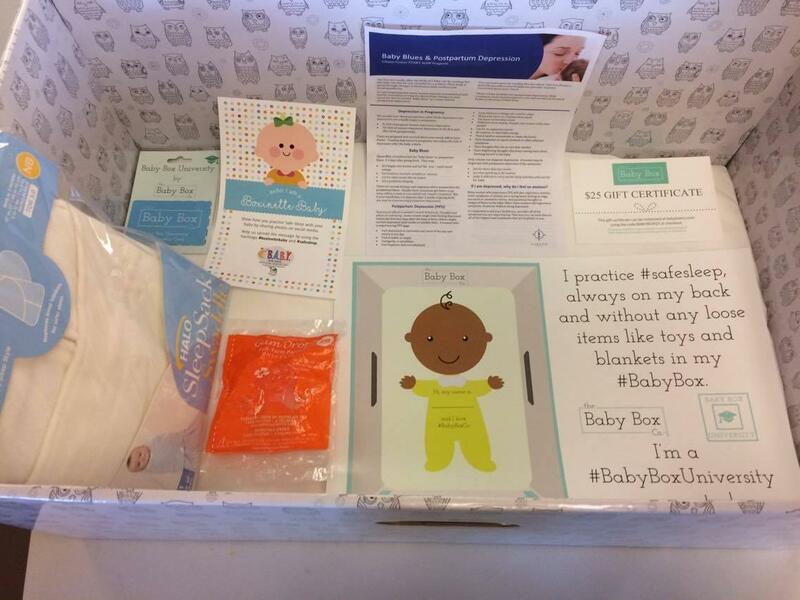 Each boxinette comes with a swaddle, pacifier and educational materials. The goal of the initiative is to provide safe sleeping environments in the home. The boxinette program isn’t altogether new. Finland has one of the lowest infant mortality rates in the world. Much of that success is credited to a similar program dating back to the 1930s that’s still used to this day. However, people like Robert Turner, the project management coordinator for Bootheel Babies and Families admits the challenge is getting everyone on the same page. Turner said infants sleeping in the same bed as their parents has become a cultural norm in the Bootheel. According to data from Bootheel Babies and Families,119 babies have died in the Bootheel within the last six years. Nearly a quarter of those deaths were sleep related. Bootheel Babies and Families, an initiative charged with tackling the region’s high infant mortality rate is working to cut down infant mortality in Southeast Missouri by 15 percent over the next 10 years. Turner said awareness, education in the community, and efforts like baby boxinette initiative are key to making this happen. “We're continuously passing on the safe sleep information so that moms, dads, grandmothers and other caregivers know what to do and know what the data says to do,” Turner said. Earlier this year they launched the ABC’s of Safe Sleep campaign, held listening sessions with community input and have placed large billboards along Interstate 55 to spread awareness on infant mortality. There’s no way to know how effective the boxinettes will be in the Bootheel. But Christian-Ritter and Turner agree that children under the age of one need to sleep alone, on their backs, in a bassinet or crib, in their parents room. Blankets and stuffed animals are also ill-advised. As for Averett, she plans on using the boxinette until Elessandra’s at least six months old. This week’s episode of KRCU’s Going Public, we’re diving back into our discussion on the health needs of Southeast Missourians with KRCU’s “Vital Signs” panel. We’ll talk about health literacy and how it creates a barrier when trying to navigate the healthcare system, alternative and affordable health care resources, and building trust among physicians and their patients. We’ll also discuss the ongoing problems with childhood and adult obesity in Missouri and the region’s high infant mortality rate. In recent months, the topic of health care and the legislation surrounding it have been a hot button issue. But in rural communities where social and economic disparities create barriers for families, access to quality health care becomes even more of a challenge. So today we’re taking a step back and assessing what the health needs for Southeast Missourians are. To do that, I’m joined by KRCU’s “Vital Signs” panelists: Dr. Gloria Green who is the chairperson for the Department of Nursing at Southeast Missouri State University, Dr.